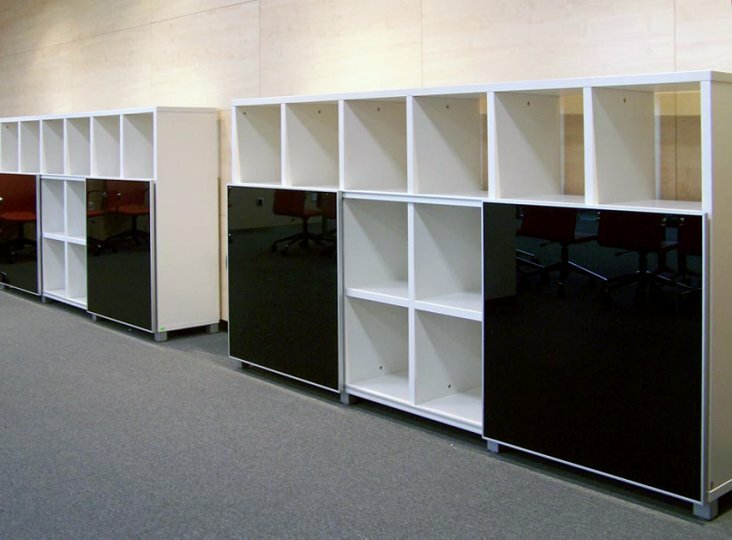 Bookcases are the staple of many offices, ideal for storing everything from books to stationary so to cater for this we offer a comprehensive range of contract quality bookcases, available in a range of finishes we believe we have a bookcase to suit almost any need or environment. Choosing the right bookcase might seem like an obvious thing to do however often people are unaware of the range of intelligent storage options that can incorporate or even do away with the traditional bookcase, for example if you are currently using a combination of filing cabinets, bookcases and cupboards then why not combine all the elements into a wall storage unit, not only would this provide you with a more organised storage solution but could also be used to display graphics or branding to enhance the design of the office, however if this is not for you we still have a comprehensive range of bookcases so we are sure you will find something to meet your needs. If you are looking to buy storage as part of an entire office fit out or simply if you are looking for some help with the best positioning of your storage why not take advantage of our free design and space planning service, managed in house by our team of designers and project managers who will take your brief and develop your ideas into a scheme that meets your needs and requirements but also offers the best value for money. 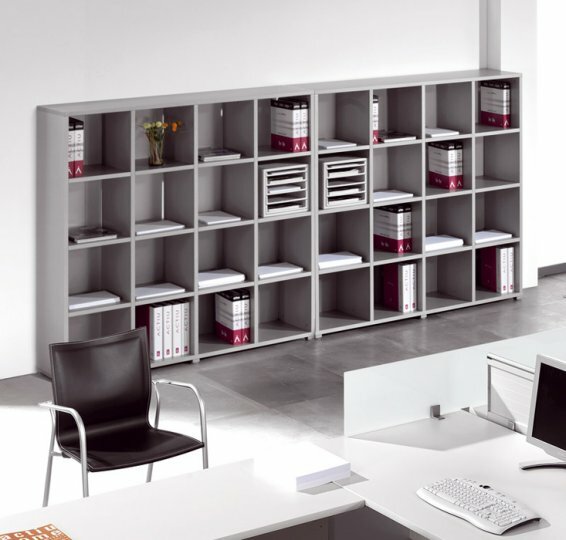 For more information contact our team today or browse our range of bookcases online.